Si chiama John Locke, proprio come il grande filosofo inglese, l’ultimo milionario del “Kindle Million Club“. Sì perché John Locke, un sessantenne americano che fino a due anni fa faceva l’assicuratore, ha appena superato il milione di copie del suo romanzo, venduto come ebook, a soli 99 centesimi. Così ora John Locke è corteggiato da tutti e può fregiarsi di essere nel Kindle Million Club di Amazon, in compagnia di Stieg Larsson, James Patterson, Nora Roberts, Charlaine Harris, Lee Child, Suzanne Collins e Michael Connelly. Ma a differenza di questi superbig, John Locke i suoi libri li pubblica senza l’intervento di un editore, ma grazie alla piattaforma Kindle Direct Publishing, che permette agli scrittori di realizzare un e-book in proprio, senza l’appoggio e il filtro di una casa editrice. Senza editore, ma non senza esperienza: in due anni ha pubblicato nove titoli, tutti in un genere molto affollato, come quello delle crime stories. Quale sarà il suo prossimo, grande successo editoriale? «Che domanda! “Come ho venduto un milione di ebook in cinque mesi”, of course», risponde Locke. Questi sono gli altri autori del Kindle Million Club. Stieg Larsson is the author of the Millenium Trilogy, including The Girl With The Dragon Tattoo, The Girl Who Played With Fire, and The Girl Who Kicked the Hornets’ Nest. He lived in Sweden, and died in 2004. In July 2010 he became the first member of the Kindle Million Club. James Patterson is a bestselling author with more than 60 New York Times bestselling titles. He has sold more than 220 million print books worldwide. He was also the Children’s Book Councils’ Children’s Choice Book Awards “Author of the Year” in 2010. In October 2010 Patterson became the second author to join the Kindle Million Club. With over 300 million print books sold, it is not surprising to see Nora Roberts in the Kindle Million Club. Twenty-five years ago, stranded at home in a blizzard for a week, this mother of two grabbed paper and pencil and started to write stories. Her first novel, Irish Thoroughbred, was published in 1981. In January 2011 she became the 3rd author and the first woman to join the Kindle Million Club. Charlaine Harris is the author of the True Blood vampire series. She is a New York Times bestselling author and has been writing for over twenty years. In 1990 her novel Real Murders was a Best Novel nominee for the 1990 Agatha Awards. She released the first of her much darker Shakespeare mysteries in 1996, featuring amateur sleuth Lily Bard. In May 2011 she became the 4th member of the Kindle Million Club. Lee Child is the bestselling author of the Jack Reacher series. His debut novel, Killing Floor, won both the Anthony and the Barry awards for Best First Mystery, and The Enemy won both the Barry and the Nero awards for Best Novel. Lee Child is a native of England and now lives in New York. 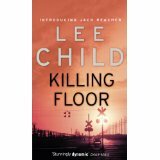 In June 2011 Lee Child became the 5th member of the Kindle Million Club. Suzanne Collins is a highly successful children’s writer not only of books but of television too. She wrote the New York Times bestselling series The Underland Chronicles. 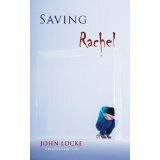 In the award-winning The Hunger Games trilogy she explore the effects of war and violence on those coming of age. Collins lives with her family in Connecticut. In June 2011 she became the 6th member to join the Kindle Million Club. Michael Connelly is the bestselling author of 23 novels and one work of nonfiction, with over 42 million copies of his books sold worldwide. He is a former newspaper reporter and has won numerous awards for his journalism and his fiction. His first novel, The Black Echo, won the prestigious Mystery Writers of America Edgar Award for Best First Novel in 1992. In June 2011 he became the 7th author to join Amazon’s Kindle Million Club. John Locke is the author of the bestselling Emmett Love westerns and Donovan Creed novels. He lives in Kentucky. In June 2011 he became the 8th author and the first indie author (independent and self-published) to join the Kindle Million Club.